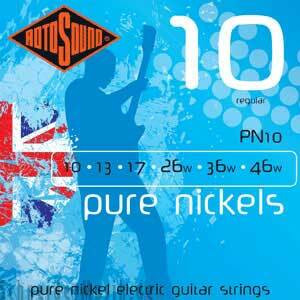 RotosoundPure Nickels are simply the best 'top of the range electrics'. Comprising solid nickel covers, the strings offer an exceptional magnetic response, volume, clarity and tone. Truly the creme-de-la-creme of guitar strings!